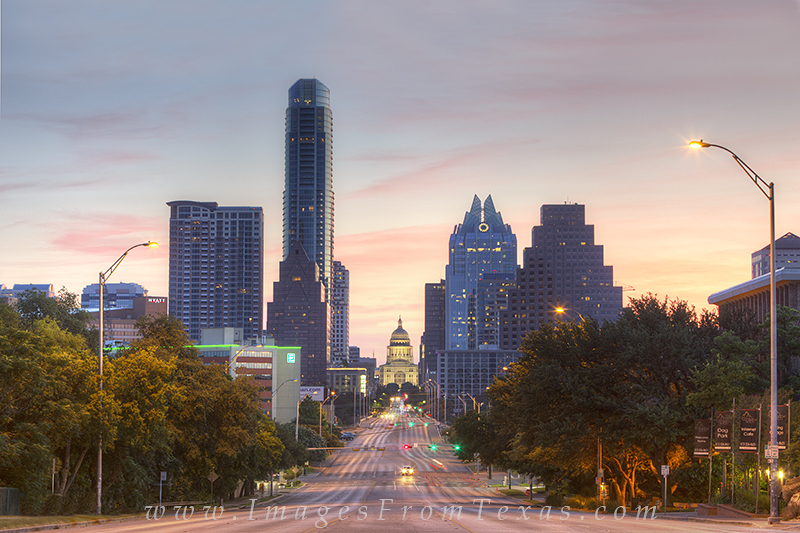 Early on a morning before traffic really gets going, this is the view of the state capitol in Austin, Texas, looking north up Congress Avenue. Just behind me is the Congress Bridge crossing over Lady Bird Lake. The tallest building in this image is the Austonian (left). The Frost Tower is on the right. Photo © copyright by Rob Greebon.